Do you find it hard sometimes to get motivated to run? Would you like to run harder, faster, and have more stamina? Boost your energy and start to really love running with this hypnosis and guided meditation program! Motivational Hypnotherapy's Joel Thielke is a world-renowned hypnotherapist and author who has helped millions of people worldwide. 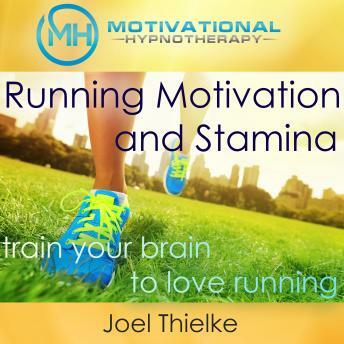 This powerful hypnosis program is designed specifically to help boost your energy and motivation to run, and get you in the zone so that you can run faster, longer, and get the most of your time on the track. This is the perfect program for listeners of any age, no matter your level of hypnosis experience. We recommend listening to this audiobook for 21 days in a row to get the most out of your listening experience. Listen to the induction track, and if you fall asleep, that's okay. This program will work for you if you are awake OR asleep. It's a short, powerful program that will change your life and give you real results. You have the power to love running and have fun doing it!